One of our favorites figured out a clever way to turn her Halloween costume into a theme for her whole family. 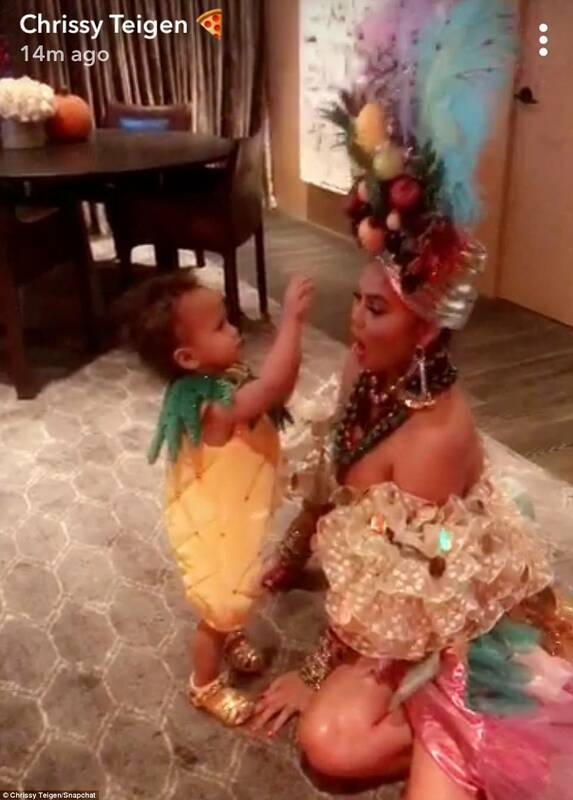 Chrissy Teigen dressed up like Carmen Miranda for Halloween and carried around baby Luna as her little pineapple. For those who may be unfamiliar with Miranda, she was a Broadway actress and film star who notably wore hats that contained fruit. Not only did she wear them in some of her films, but the logo for Chiquita Banana actually found inspiration in her attire — and soon after, the actress was nicknamed “The Chiquita Banana Girl.” While known for her bright colors and wonderfully loud clothes, we should acknowledge that Miranda is reportedly the first Latin American artist to add her handprints outside of Grauman’s Chinese Theatre, now known as TCL Chinese Theatre, in Hollywood. So Teigen chose to dress up as a legend this year. With that background information, you can see how Luna’s pineapple outfit is a subtle tie-in. No matter what, the 18-month-old looks adorable while celebrating her second official Halloween. Last year, Teigen dressed her daughter in a few adorable outfits, so we wonder if there may have been more ideas floating around beforehand. Still, we’re glad the pineapple made the cut. As you can see, husband John Legend decided to dress up like Groucho Marx this year. Marx and Miranda starred in the 1947 movie Copacabana together, so it also fits in with the general theme. 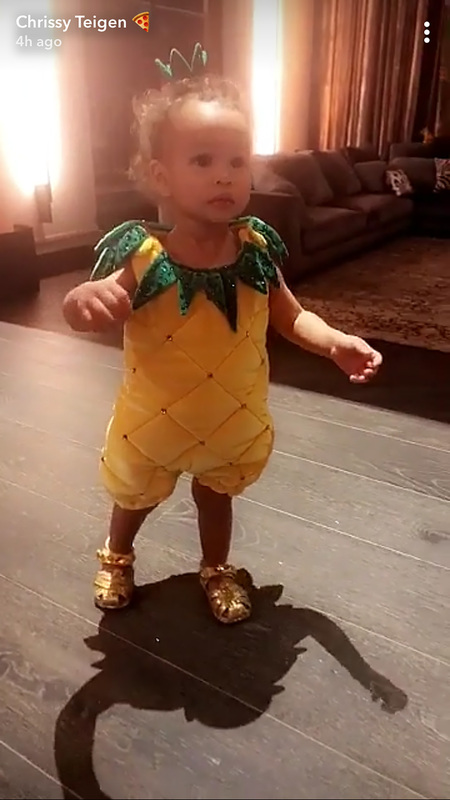 Luna is one adorable pineapple, that’s for sure. Teigen completed her look with big, dangly earrings and a signature headpiece that little Luna couldn’t get enough of. We think that Miranda would have been honored by Teigen’s glamorous tribute.